Starting with Idea, the prepaid Idea customers can now avail Home like benefits when they are on Roaming in any circle. The Idea Roam Like Home pack is priced at Rs. 53 and is available in 14 telecom circles as of now. Talking of the price, the Idea Roam Like Home STV is priced at Rs. 53 in all the 14 circle where it is available now. Just like Idea, Vodafone too has started offering Roam Like Home STV for its prepaid only customers but unlike Idea, Vodafone Roam Like Home STV is available in only 5 telecom circle as of now. 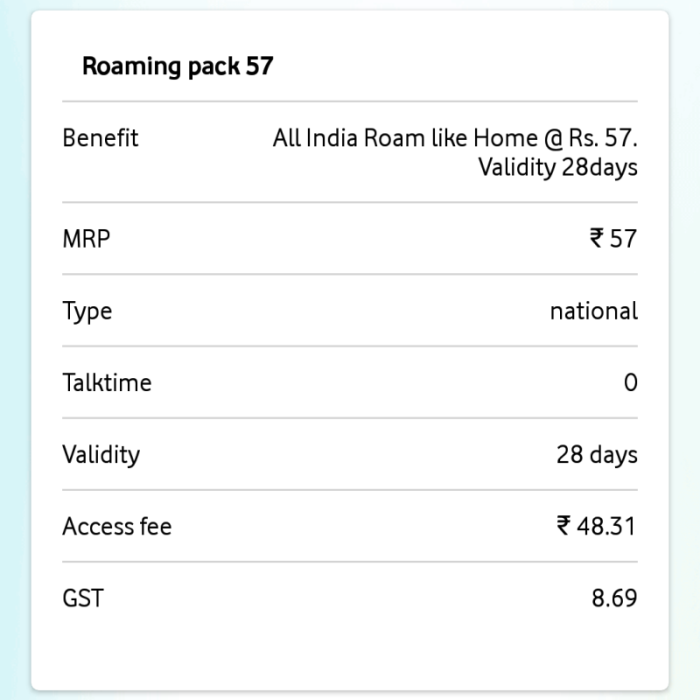 The price of the Vodafone Roam Like Home STV is also different as per the telecom circle and ranges from Rs. 49 to Rs. 57 for 28 days. Using the Roam Like Home STV, you can carry forward the tariffs in our home circle to the roaming circle. For instance, if you have activated Unlimited Calling Pack in your home circle and have taken the Roam Like Home STV as well, the Outgoing Calls in Roaming would be as per your Unlimited Calling Pack and incoming calls would be free. The only condition to enjoy benefits in Roaming like Home circle is that you must be on your default operator network to use it. For instance, if you are an Idea customer, you must be on Idea network in Roaming as well for availing the benefits. 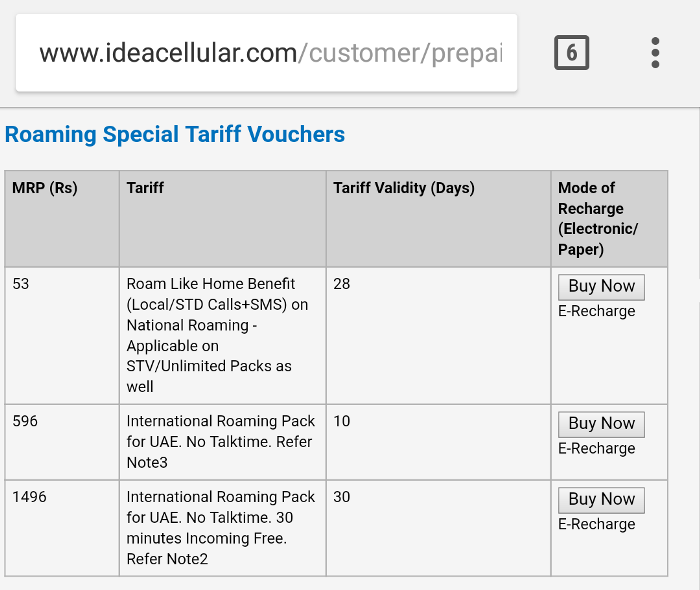 If you are not on Idea network in Roaming, standard roaming rates would apply.